Our hearts go out to our neighbors in Georgia, South Carolina, North Carolina, Virginia and any other states impacted by Florence. The storm is showing signs of a possible turn to the south and hurricanes are notoriously unpredictable. I tend to go to two sites for updates. I use NOAA and Mike’s Weather Page for collected links to “MANY” sources of information. “Mike’s” is the easiest place I’ve been able to find for a collection of spaghetti models, if you love watching the least likely and most likely predicted storm paths. I would urge everyone to take this as as a warning and purchase basic supplies. Be sure your vehicle is filled, have food for time in a car and supplies in the event of an extended stay out of the area. 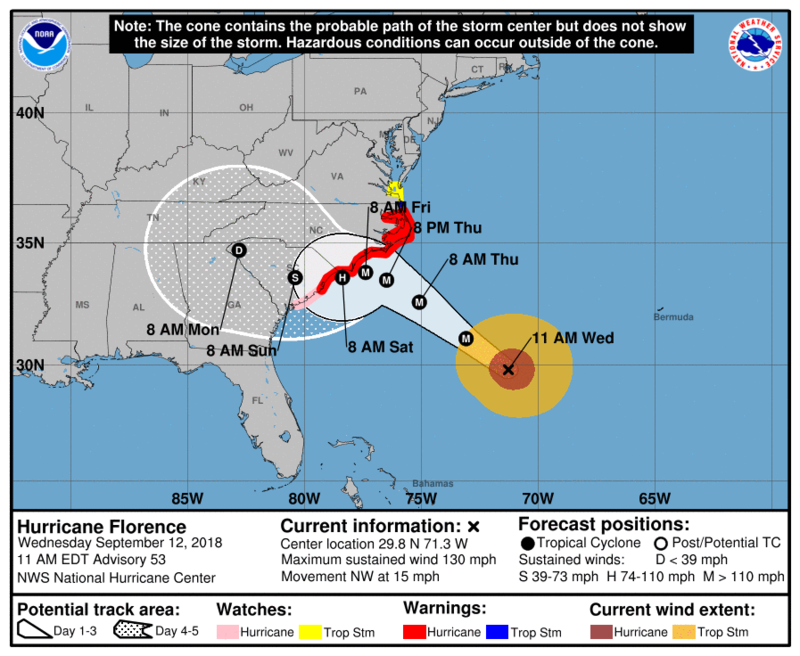 I’m going to share a link and image for a 5 day forecast, as well as an image of the current path projected for Florence. The 5 day image shows the potential storm areas and areas of formation. This is a busy season and potentially difficult year for Florida. With luck, we won’t see a landfall in Florida this year, but Irma and Matthew should have been warning enough for locals. Storms are unpredictable and preparing for evacuation is important each year. 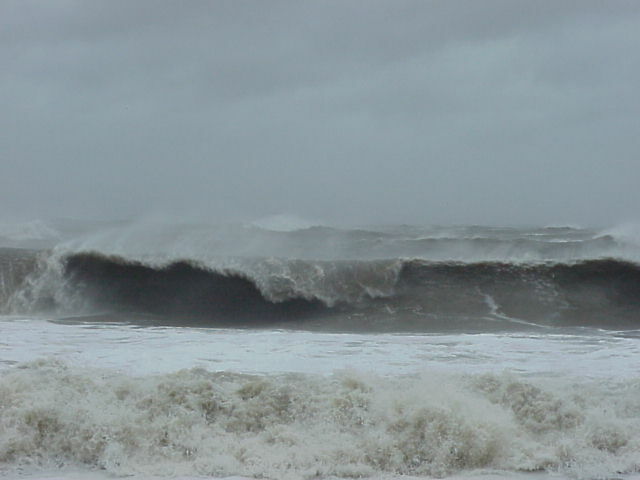 Thinking of our coastline and past storms, it can be easy to become complacent. I’m told the Carnegie family chose to build on Cumberland Island based on the lower probability of a hurricane strike. That said, our two most recent storms were really near misses, even though we lost significant property and a significant period of time without a fully functional marina. 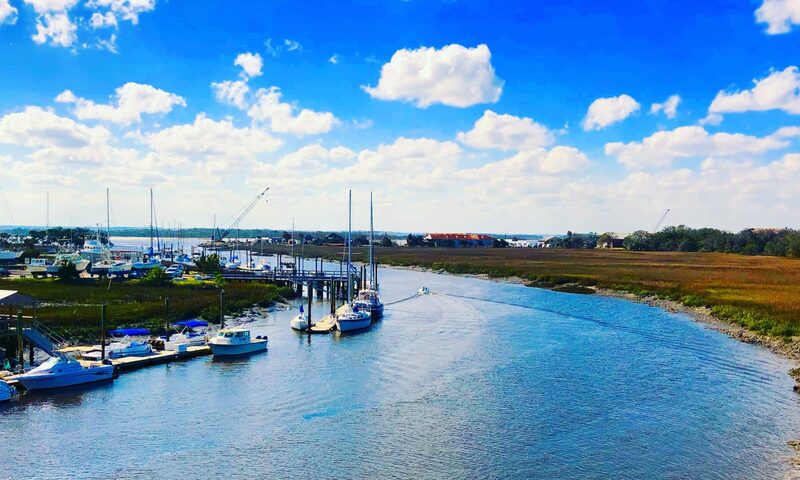 Previous PostPrevious Why we love Fernandina Beach! Next PostNext Bucket List and Wishlist…..